One answer that can be given that is standard across most higher education institutes is the Quality Matters Standard of accessibility. 8.1. Courses must incorporate ADA standards and reflect conformance with institutional policy regarding accessibility in online and hybrid courses. 8.2. Course pages and materials must provide equivalent alternatives to auditory and visual content. 8.3. Course menus and pages must have links that are self-describing and meaningful. 8.4. Courses must ensure screen readability. Through the application of principles of UDL and Web Content Accessibility Guidelines (See below) you should be able to design content and activities that meet accessibility guidelines and enhance learning for all students. 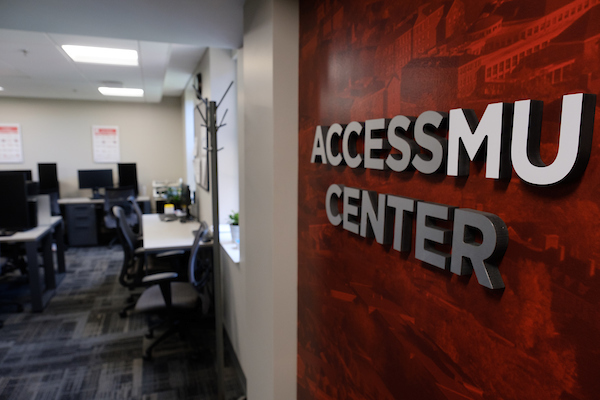 In the recommended resources provided below, you'll find more details on UDL, an accessibility assessment based on QM Standard 8, and links to Miami University resources on accessibility. Included is an Online Accessibility Handbook with lots of quick tips on how to make your course materials more accessible. In the optional additional resources, you'll find links to resources from WebAIM which provide in depth information on web accessibility and the WCAG 2.0 guidelines. Additionally, there's a direct link to CAST for more information on UDL, and links to the comprehensive DO-IT resources assembled by the University of Washington. If you have re-usable video in your online course, it must be closed-captioned.That takes time, so it must be completed ahead of time. Please work with your Instructional Designer on these. If you create videos or screencasts to insert into your classes for one term only, please upload your script. All PDF documents must be tagged for screen readers so they are accessible for students with disabilities. If you have students with disabilities who need more assistance, please refer them to the Office of Students with Disabilities.